John Norton and the Gunnison-Crested Butte Tourism Association (TA) presented the association’s 2017 budget to the Gunnison County Commissioners on Tuesday, May 8, explaining how the TA spent approximately $2.33 million last year promoting year-round visitation in the valley. 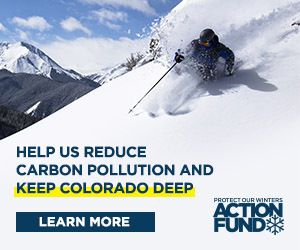 Twenty-five percent, or $600,000, of that marketing was specific to mountain biking while 17 percent went to TA staffing, and 36 percent to promoting airline travel to the area. The TA received the bulk of its budget, $1.68 million from the 4 percent tax on short-term lodging valley-wide, with the remainder coming from municipalities and grants. “You spent $600,000 marketing mountain biking last year? Can you break that down for me? How did you spend that? And how many new bikers did you attract to the valley as a result of that?” asked Mike Dawson of Gunnison Cattlemen’s Days. Lodging sales taxes increased anywhere from 40 percent to 60 percent valley-wide from 2014 to 2017, according to the TA. Lodging occupancies in both Gunnison and Crested Butte increased year-round, with January seeing a doubling in occupancy from 27 percent in 2014 to 54 percent in 2017 and February jumping from 35 percent to 60 percent in the same time period. July occupancies increased from 69 percent to 83 percent, while August rose from 52 percent to 62 percent. Shoulder season occupancies remain low but did increase between 2014 and 2017. For example, April increased from 14 percent to 22 percent, while May increased 18 percent to 26 percent. And while the reception from the commissioners was generally positive, at least some audience members questioned the TA’s spending direction. “I don’t disagree that you’ve done a great job promoting mountain biking and establishing the valley as the destination for mountain biking, but I guess my question is, now that you’ve established that, what is next? Have you considered diversifying your efforts?” asked Dawson. The discussion turned then to a presentation on the TA’s grant cycle, formalized for the first time this year at the request of the county commissioners. The TA opened up grant applications for summer and spring events and received 22 applicants. They funded 10 of those applicants with between $1,500 and $8,000, depending on the event. Crested Butte Devo received grants for three separate events totaling $11,500. When asked by the commissioners what the scoring process was for the grant applications, Norton responded timing played a part. “We did not fund any application that was for events in July or the first two weeks of August because we heard from both ends of the valley not to promote those times because we are already full,” he said. Grant recipients also included the Summer Grand Traverse ($8,000), the Gunnison Growler ($5,000), the Elk Run 5K ($5,000), the Fat Tire 40 ($3,000), the West Elk Hockey Association ($2,500), the Bikepacking Summit ($6,700), and the CB3P ($2,000). Six of the ten grants funded by the TA focused on mountain biking events or summits, which again raised questions among the audience. “It was an extremely time consuming process and we might very well give it up, considering the negative feedback,” said Norton. As it stands, however, the TA will be offering a second round of grants focusing on winter events, with applications accepted sometime in the fall.